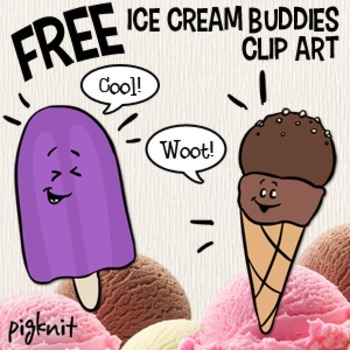 Ice Cream Buddies clip art is yours to download instantly! Summer Ice Cream clipart includes two frozen friends in both colored and b&w! Mix and match your favorites for fun Summer dessert classroom ideas and activities! All files are high res and come in both color and black & white.